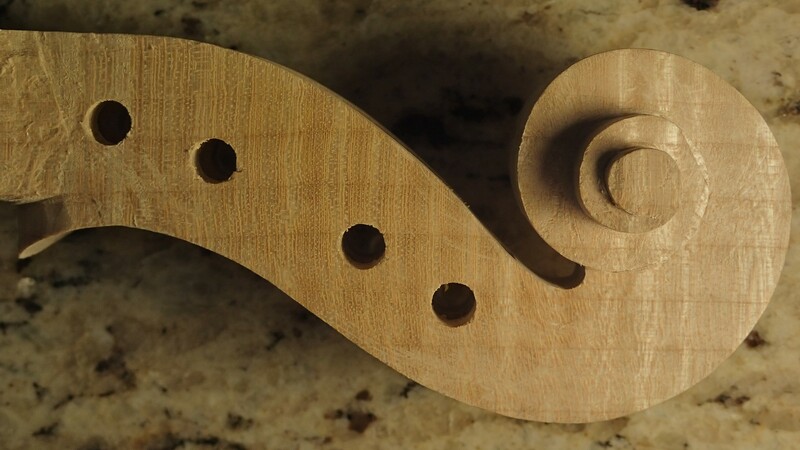 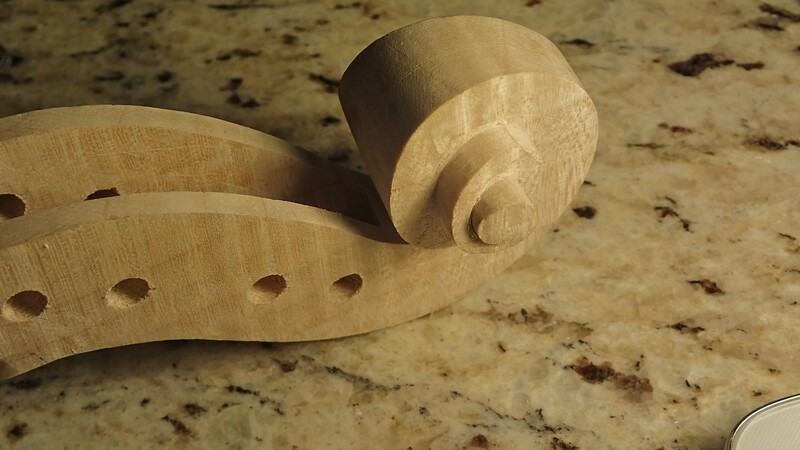 The wood for this scroll and neck are of a medium flame. 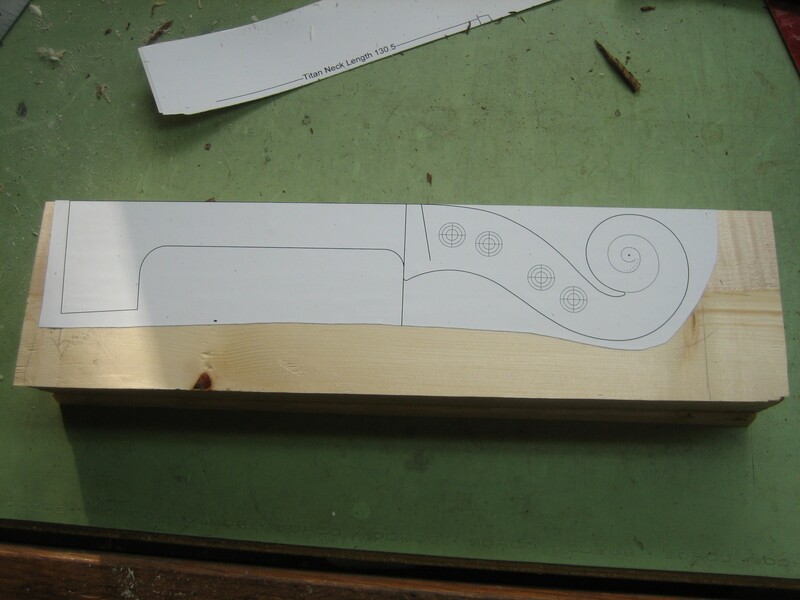 The scroll is based on a clothoid layout. 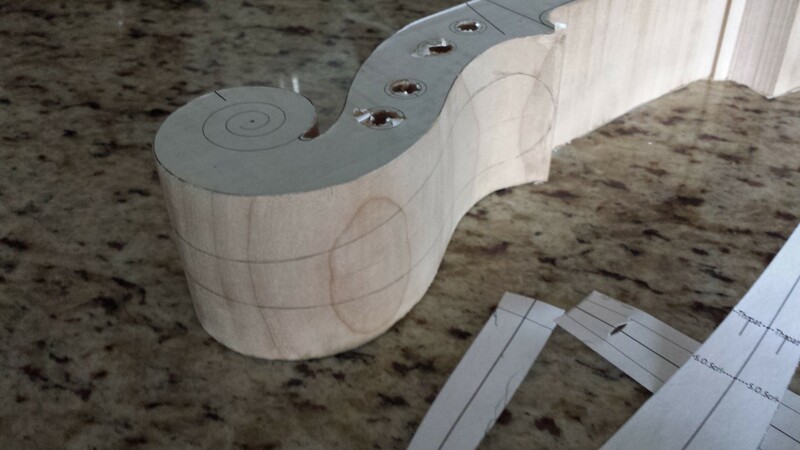 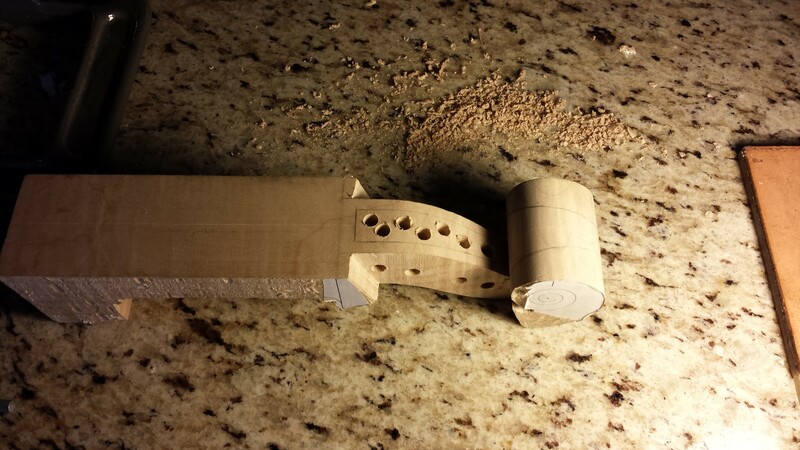 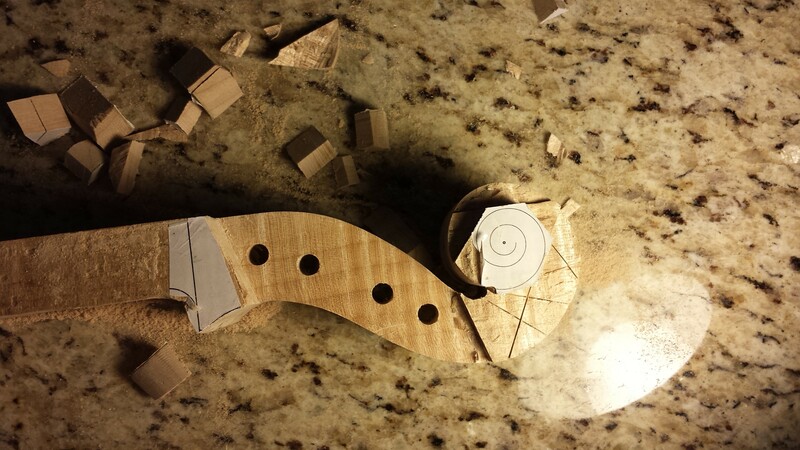 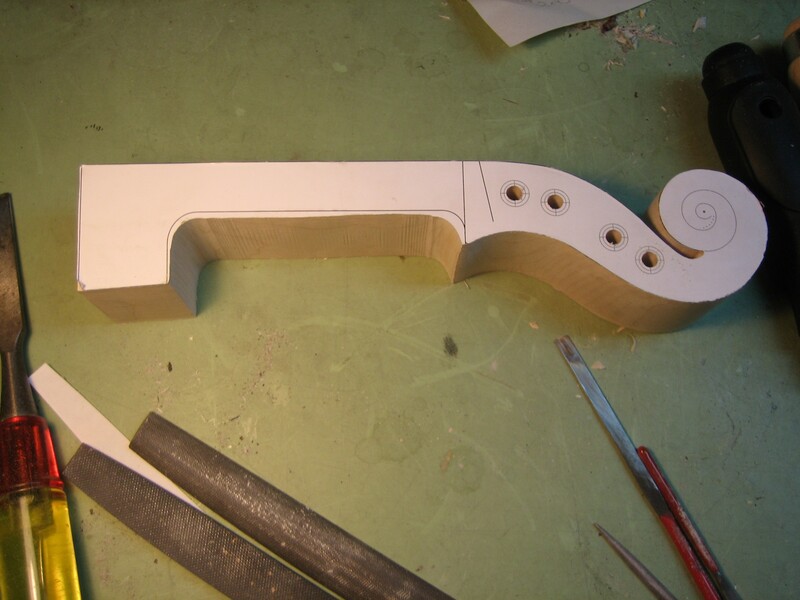 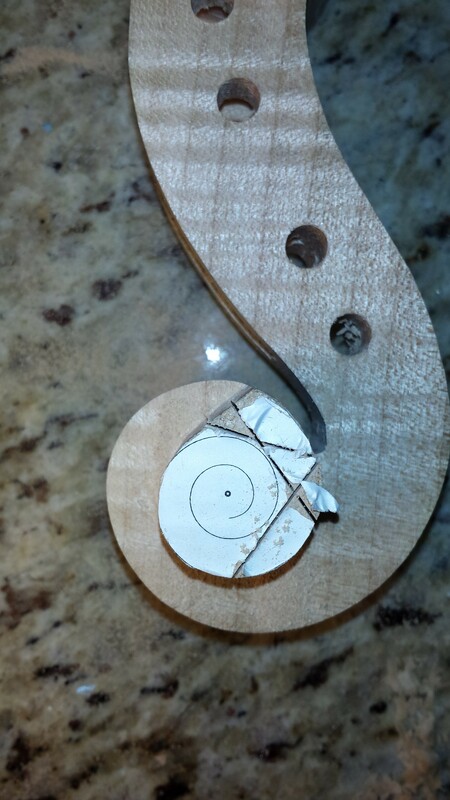 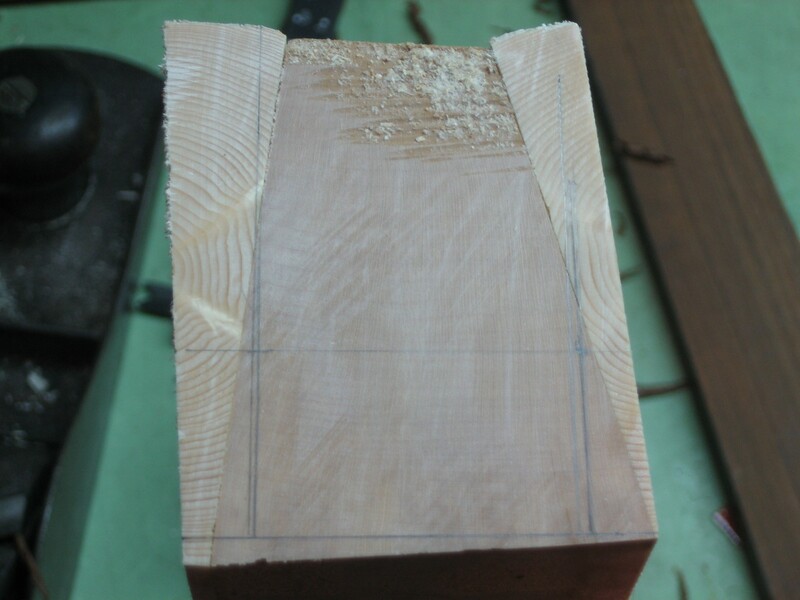 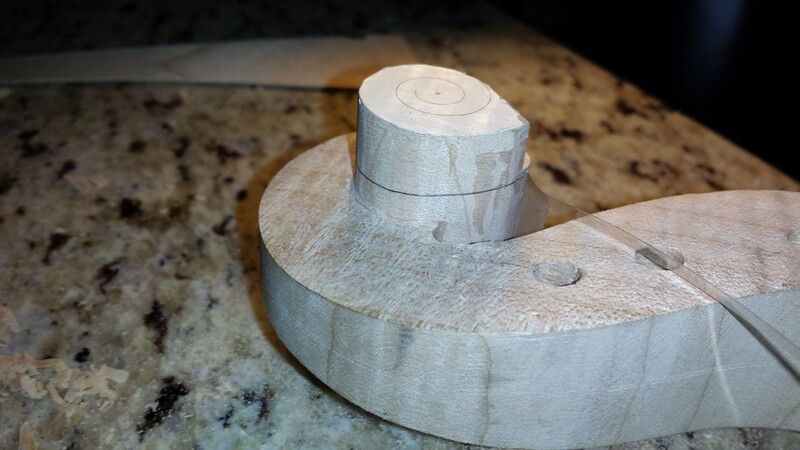 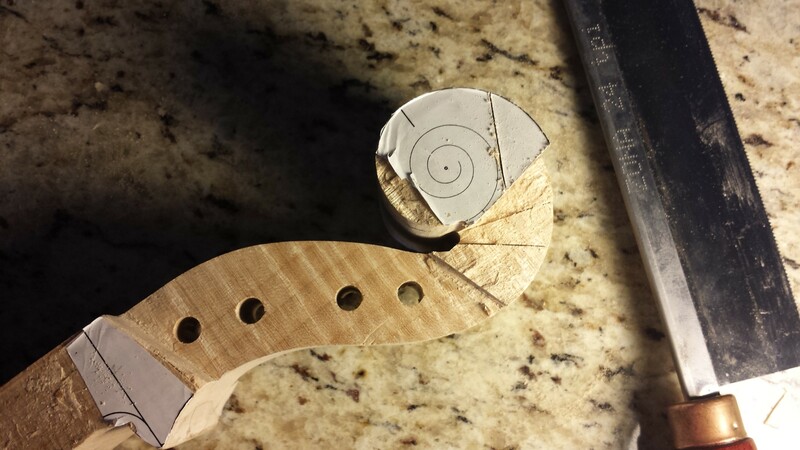 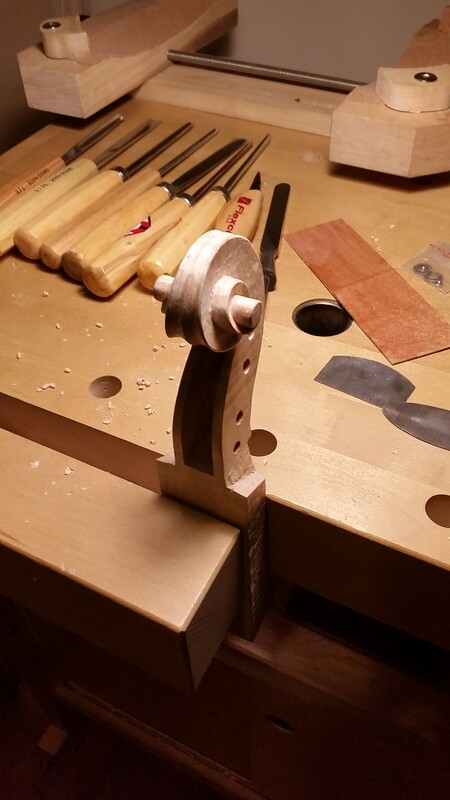 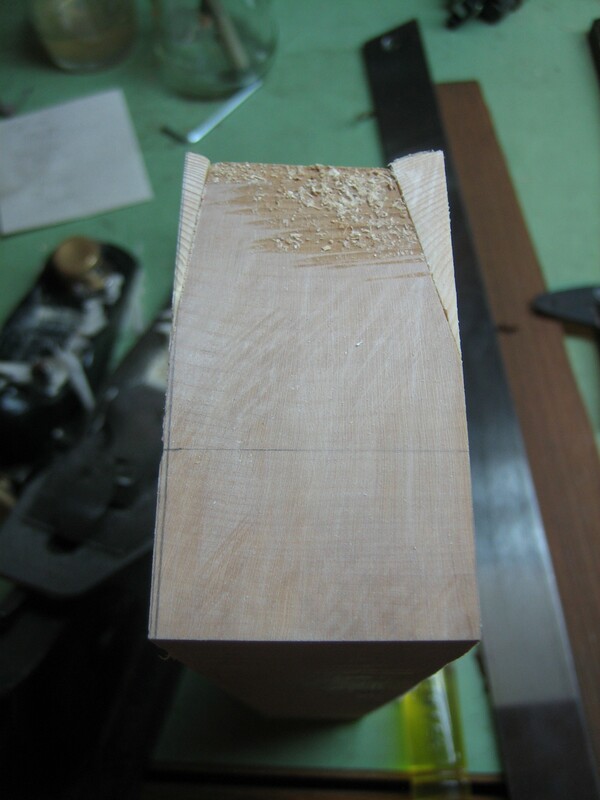 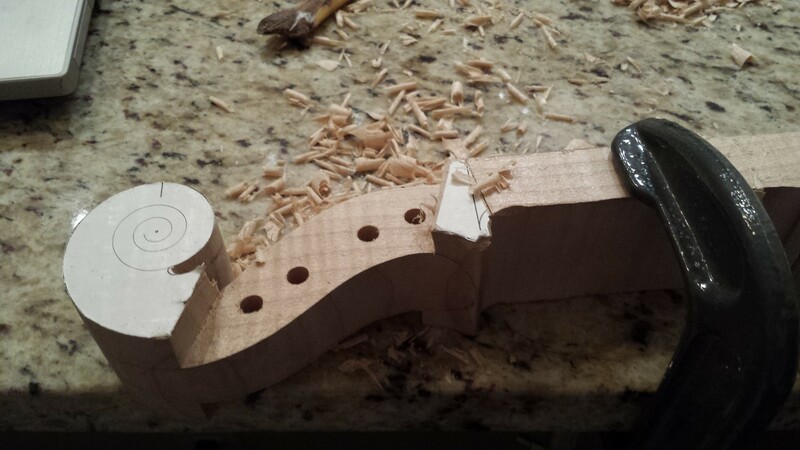 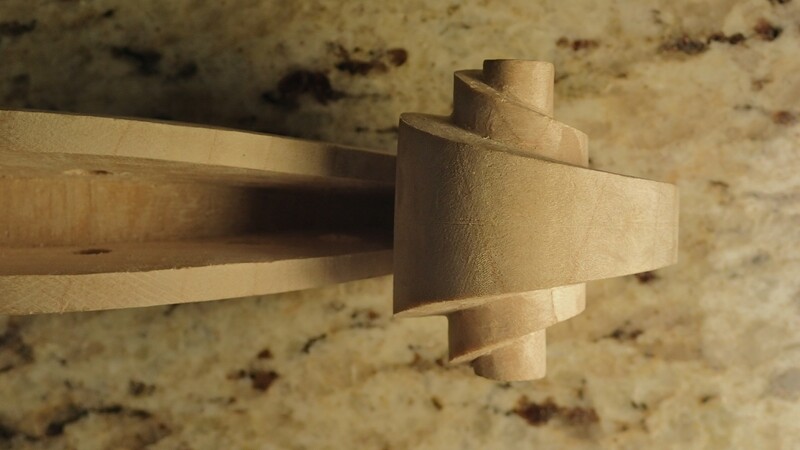 Chamfering is first, then fluting is done up to the chamfer. 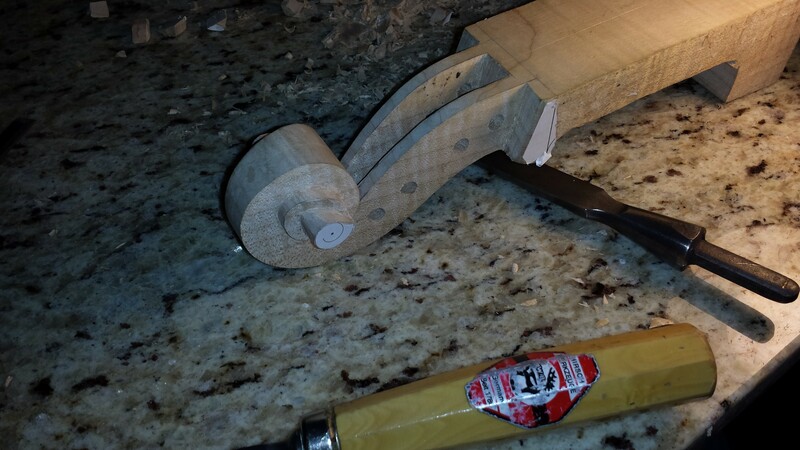 here the scroll is partially finished.